You may know me from a youtube guide or two over the past year and a half, or a (hopefully educational and nice) stream that I run at twitch.tv, or even my participation in the State of Sanctuary, all under the nickname Deadset. I have done a similar in-depth exploration for Patch 2.1.2, Patch 2.3, Patch 2.4 and I am back at it for my cross class guides. Below you can find my full impressions of the patch, as well as links to all detailed, full-blown explanations of 2.4.1 builds! Playstyle: If you are looking for a high risk, high reward playstyle, you are probably looking at its best example this patch. Raekor is reworked but remains true to its roots with a fast-paced playstyle that thrives on trash clearing and requires good judment when, what, and how to engage. This is the Barbarian glass cannon, and being a close combat build it requires excellent knowledge of monster progression (which fights are worth your time, which are likely to kill you, etc). If you have it though, the potential for GR clears is sky high. Personal opinion: I continue to dislike Raekor for all its characteristics since its 2.1 (?) rework. Raekor is the fishing master, the playstyle requires precision and practice, and pushing can be a more frustrating experience than other builds (Unfavorable elites? Bad RG? Run ends!) With Raekor, it becomes all or nothing earlier in GR progression than other builds, but in the right circumstances the ceiling for clears is unrivaled. I guess the slight refocusing to Ancient Spear in 2.4.1 is also nice, you actually feel it chunking the enemy. Expectation of performance: I have seen this build clear GR90+ end expect it to reach around 100 when fully optimized. Playstyle and Personal opinion: Since it's a variation of the pure Invoker Thorns build, my opinion of the two is basically the same - please check it out below! Playstyle: As safe and consistent as an endgame Demon Hunter can get, the Marauder places a solid wall of pets and sentries in the way of monsters, while it safely picks them off from the distance. Resource management nightmares will be largely dealt with through perma-Vengeance Seethe, and the build's arsenal of slows and chills keeps demons at bay, allowing for a beginner-friendly Demon Hunter experience. Personal opinion: This is as close to a chill Demon Hunter playstyle as you'll get. Even a casual Demon Hunter player will reach GR75+ with relative ease if he plays consistently and gears properly. The set continues to receive buff after buff, making it a breeze to start a season with. Expectation of performance: I have seen this build clear GR85+, and expect it to clear slightly above GR90 when fully optimized. Playstyle: How does a summoner Monk sound to you? How about a super safe, relaxed Monk build? How about the two combined? If all those propositions sound good, look no further than the Inna Mystic Ally build. With a straightforward gearing process, simple playstyle and the opportunity to expand into a Mystic Ally-EP hybrid with an even higher potential (and skill ceiling! ), the Inna Monk is a great seasonal starting point. Personal opinion: As a fanboy of pull mechanics, I'm a sucker for Cyclone Strike builds. Any Monk build that takes Cyclone Strike automatically receives +1 in my book. The option to expand the build into MA-EP hybrid is a great example of a modifiable build to suit your needs - the pure pet Monk is simpler, the EP variation has a higher GR ceiling. Either way, I really like the playstyle. Expectation of performance: I have seen this build clear GR90+, and expect it to clear slightly above GR95 when fully optimized. Written guide update coming very soon! Playstyle: The build wields an army of Fetishes at its side, but gets the bulk of its damage done by the Doc shooting Poison Darts alongside his 5 closest summons. You will enjoy the build if you like pet-heavy builds, as well as hammering targets down individually with heavy single target damage. **Personal opinion: The pet and positioning reliance of the build is really irksome at times, but the build is capable of pulling some very high damage numbers if the circumstances align in your favor. Expectation of performance: I have seen this build clear GR80+, and expect it to clear well above GR85 when fully optimized. Playstyle: The Arcane Orbit Wizard is a bursty, mobile and relatively safe melee spellcaster. It requires very simple stack management for the amount of damage it can deliver, turning it into one of the most beginner-friendly playstyles. Personal opinion: Durable, melee range, crowd control heavy, need I say more? It's one of my favorite Wizard playstyles ever since it came out. Expectation of performance: I have seen this build clear GR85+ and expect it to clear well above GR90 when fully optimized. Playstyle: The heir to the DMO version of the Twister build, the Tal Rasha version retains much of the playstyle (abuse of corners, stacking mechanics, etc. ), but has little more varied rotation, and looks a little flashier - it's Tal's after all. If you hated the build in the past, you're not going to love it now, but its group power is undeniable and expected to dominate much (if not all) of the 2.4.1 group meta. Playstyle: Abandoning his globe spawning role, the Support Barb is mostly a buffs and pulls master, an adept scout, and continues to be the overall leader of the support pack. Playstyle: Similarly to the Barb, the support Monk ditches globe duties in favor of some skill-dependent healing. He fully retains his DPS guardian role. Playstyle: Perhaps closest to his 2.4 form, the Support Doc adds some flavorful Wormwood Locust Swarms, but that's about it. Playstyle: If you are looking for a clean, logical rotation and a more methodical approach to fights, you will enjoy Leapquake a great deal. The build dishes out a lot of crowd control and has a built-in pull to ease the AoE damage Earthquake specializes in. It does not slack in single target either, with Skular's Salvation empowered Boulder Tosses helping smooth out the usual Barbarian disparity of quick rift clear and agonizing slog through the Guardian. If keywords like 'deliberate pace', 'stun-heavy' and 'AoE and single target balance' sound attractive, look into the Leapquake build. Personal opinion: This was one of my 2.4 favorites, and my opinion stands in 2.4.1 - less gimmicky than other builds, solid rotation built in. I love specs that lean on pulls anc CC, so I have some personal bias here, but really - try it out if you haven't! Expectation of performance: I have seen this build clear GR85+ and expect it to clear slightly above GR90 when fully optimized. Playstyle: If you are looking for a build that feels fast, excels at hit and run tactics, and thrives the more enemies it can lure to chase it, then give the Whirlwind Barb a spin. It is very demanding to perfect gear-wise, and arguably does not reward you for it enough, but WW is always a blast to play. Personal opinion: Wastes set needs retouching, relying on CC secondaries for some decent damage reduction from APDs is absurd. Up until you hit your toughness ceiling and you start feeling like paper, WW barb is pretty darn cool. Some number upgrades (especially Skull Grasp finally being multiplicative) push the build farther out. Expectation of performance: I have seen this build clear GR80+ and expect it to clear slightly above GR85 when fully optimized. Playstyle: I see these two builds as two sides of the same coin, using the base power of the Immortal King set (perma-Berserk and Ancients) to twist them for their own needs (mobile, DoT based playstyle for Rend, and a static, fight-to-fight playstyle for HotA). If you don't mind playing slightly off the meta and enjoy a decent challenge, both builds will provide plenty of quirks to learn and optimize for. Personal opinion: The 2.3 darlings are actually bumped up a little with changes to their sets (IK and Wastes sets getting a bump in numbers, the 2.4 Endless Walk set getting added to HotA, etc.) If you don't mind playing a little outside the meta, these builds are still damn fun and different. Expectation of performance: I have seen both builds clear GR80+ and expect both to clear slightly above GR85 when fully optimized. Frenzy Thorns // Coming Soon! Personal opinion: This actually exists, and is pretty cool! Playstyle: The Bombardment Crusader continues to be an oddity, with autoaimed volleys making up most of your attacks, having a single hyper-burst moment with a huge downtime, and spending most of the run focusing on survival. The playstyle has its intricacies - cooldown management, toughness issues, picking a proper fight - and would appeal to you if you enjoy setting up a fight and demolishing the enemy in single, spectacular shots. 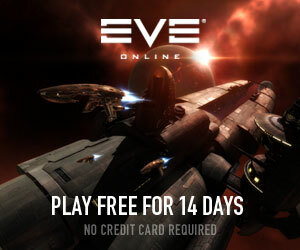 Personal opinion: I'd definitely play this if I wanted to get on the Crusader leaderboard. It has some decision making as it's not the most durable build around, but that pales in comparison to its damage potential. I can certainly see people not digging the playstyle just based on how detached it feels from the battle, as you only take care of one offensive cooldown, and spend the rest of your attention on positioning and survival. Expectation of performance: I have seen this build clear GR90+ and expect it to clear in around GR100 when fully optimized. Playstyle: The king of the chill endgame, Invoker Thorns is (to my knowledge) the only build that can go full tank and still clear 80+ with no twitch reflexes, heart stopping situations and instant leave decisions. Do not get me wrong, it will not clear every rift, but it will clear most of what your gear is capable of at a steady, unrelenting pace. If you ever wanted to play a solo build without flashy gimmicks but a true sense of invincibility, pick Invoker Thorns and do not look back. Personal opinion: I have always enjoyed the Invoker take on the Thornsader, it's a straightforward melee build that doesn't go into full downtime mode on the off cycles of CoE. If you don't mind the lack of flashy, you'll feel right at home. I know I did. Playstyle: The 2.3 favorite has consistently received slight buffs to keep it from completely falling out. It is no longer reliant on kiting and stutter stepping (phew), and fights at a steadier pace that jumps into a fight and stays in its midst until it's over. If you enjoy slamming into the thick of the fight and mowing enemies with holy power, Hammerdin might just be the guy for you. Personal opinion: Ever since 2.4, I've been pretty happy with how Hammerdin plays; now they get an additional buff in the form of Johanna's Argument 100% Hammers damage increase, bumping the build up yet again. I don't expect it to compete for the top spot, but you can definitely get some enjoyment out of the build. Expectation of performance: I have seen this build clear GR80+ and expect it to clear well above GR85 when fully optimized. Playstyle: The Sweep Sader thrives in density due to the Golden Flense mechanics, but can be quite fearless even in the thickest of fights due to his strong control capabilities. If you enjoy near-permanent CC and enemy manipulation, Sweep Sader can be your guy. Personal opinion: I have always enjoyed the janitor Crusader; then again, any build that vacuums enemies and destroys them in a near-helpless state will earn my seal of approval. He hasn't gained an inch when it comes to single target potential, but the Roland set continues to get an improvement after improvement. If you don't mind a little fishin', you can take this build quite high. Playstyle: Akkhan remains untouched in the defensive front (very disappointing for Patch 2.4.1), but its damage multipliers remain through the roof. One of its undeniable upsides is that this is one of the more enjoyable, fluid and visually appealing Crusader builds. If you are a fan of consistent AoE clear, crowd control immunity and the general feeling of a vortex of destruction, and you don't plan on pushing the highest of high GR tiers, try Condemn out. Personal opinion: I still propose the trade of 150% of Akkhan's damage multiplier for a 50% reduction in damage; I don't think Mirinae as a form of sustain will pull you through burst, but it's something at least. Bane of the Stricken takes care of the formerly torturous Rift Guardian clears, and Vacuum never ceased to be one of the most satisfying pulls in the game. Somewhat similar to Raekor, you have to fully accept that elites will only be killed as collateral damage, and keep moving forward. Playstyle: Arguably one of the most interesting playstyles in the game, the LoN FoK Hunter relies on the Shi Mizu mechanic to drop to low health, get guaranteed crits, and stay there for the entirety of the run. If you enjoy exotic builds with high skill cap and Leaderboard potential, this is the build for you. Expectation of performance: I have seen this build clear GR95+, and expect it to clear around GR100 when fully optimized. Playstyle: What do you imagine when you hear Demon Hunter? I personally think of a lone, brooding archer mowing demons down from a distance with a spray of arrows. This is the exact 'archer' fantasy fulfilled: no gimmicks, no pets, no vaulting like a madman. Playstyle: This is a high skill cap, mid-range playstyle that balances AoE and single target burst relatively well. With a slew of quality of life upgrades, several number boosts and some synergistic new items, Natalya remains a decently competitive playstyle. If you enjoy a challenging build that rewards you with relative consistency, this is the Demon Hunter build for you. Personal opinion: Receiving a slight damage bump in 2.4.1, I can hardly talk about mind-blowing Natalya changes. If you are tired of playing the Legacy of Nightmares spec and its endless thump-thump on a flashing screen, you can give good ol' Natalya a spin. Expectation of performance: I have seen this build clear GR85+, and expect it to clear around GR90 when fully optimized. 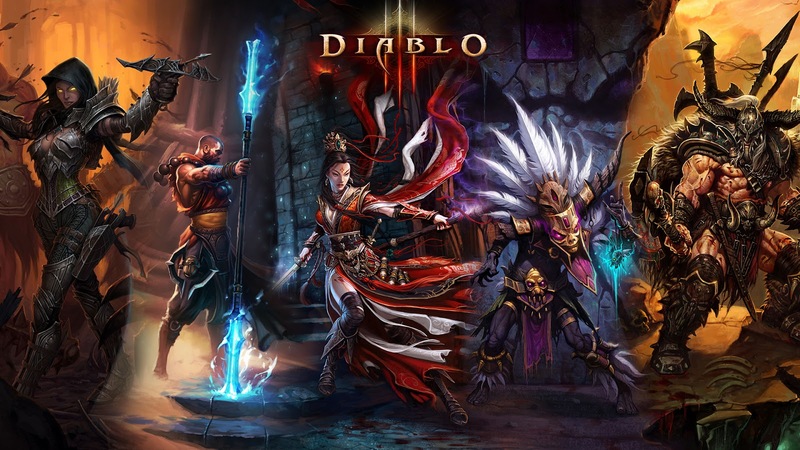 Playstyle: The Impale DH excels at assassination - sounds cool in theory, but in the AoE reality of Diablo, it plays out less smoothly. Regardless, it is more than capable of taking you to endgame, if not competition, on the strengths of its single target potential - ideally spread through Area Damage. Personal opinion: In its doubled damage state of 2.4.1, the Impale DH actually plays more smoothly. Try it out if you enjoy seeing targets pop one by one. Expectation of performance: I have seen this build clear GR85+, and I expect it to clear around GR90 when fully optimized. Playstyle: This is the most visually impressive Monk playstyle, using two iconic effects - Exploding Palm and Seven-Sided Strike - in a devastating whole-screen combo. The playstyle retains most of its characteristics: scales well with density, and takes advantage of snapshot mechanics. If you like a playstyle that rewards metagame knowledge and you like to research interactions of mechanics to get the most out of your build, try Uliana. Personal opinion: This build is fun, but I don't have a taste for the wonky mechanics to snapshot Mythic Rhythm. The coolness factor of the build is undeniable though, seeing a Seven-Sided Strike detonate an entire screen's worth of Exploding Palms will never get old. Playstyle: On a surface look, the Generator Monk can seem too simplisic. There's more to it beneath the hood however, with Attack Speed vs. pure Damage considerations, and plently of tinkering for those who enjoy it. But even if you don't - if you enjoy consistency, durability, straightforward cooldown management, and solid-feeling melee builds, you can get great mileage out of this build. Personal opinion: This remains a solid playstyle, and the primary skill buffs (Simplicity's Strength & Depth Diggers becoming multiplicative) do it a lot of good. If you wanna punch things to death and don't have a whole week to fish for your GR solo attempts, this is a great build to go for. Playstyle: This is the unique take on a ranged Monk, using Wave of Light's AoE potential, Tzo Krin's Gaze ranged mechanic, and the Pinto's Pride bracer superslow effect into a surprisingly effective combo. If you are the type of player to go for the exotic, unorthodox build, or simply want to try a ranged Monk, try out the Wave of Light SWK. Personal opinion: This playstyle is growing to be pretty badass, having its damage doubled and still retaining its characteristic distance. Kyoshiro's belt is still a pain to work around, but the set multipliers are well worth the hassle. I highly recommend checking it out. Expectation of performance: I have seen this build clear GR85+, and expect it to clear well above GR95 when fully optimized. Playstyle: Regardless if you're a fan of pet builds, a DoT/curse afficionado, or enjoy a little of each, the Helltooth Gargantuan build is a prime example of the best of both worlds. The build relies on the overpowering strength of the Gargantuan summons from the Helltooth set, augmented by your own entrapping Wall of Death debuffs. A very flavorful, and top tier, Witch Doctor build. **Personal opinion: You will either love it or hate it, depending on how you feel about pets doing the damage for you. Personally, I'm a big fan, but it is worrisome that the build overshadows the others by so much. Expectation of performance: I have seen this build clear GR90+, and expect it to clear well above GR95 when fully optimized. Playstyle: One of the more intricate melee spellcaster playstyles, Jade Harvester specializes in the application of DoTs and their nuke-like consumption. The set has received a significant upgrade to its survivability and damage potential, and it is no longer the perma-Spirit Walk reliant build you might remember. If you are looking for a high skill cap, nuke-oriented playstyle that relies a lot on player assessment of combat, the Jade Harvester might be the playstyle for you. Personal opinion: Once you get past some pre-conceived notions about Witch Doctors, you can really get in a groove with Jade. I appreciate a build that causes you to re-learn a class and its combat playstyle, even if it doesn't turn out to be the top tier WD build. Expectation of performance: I have seen this build clear GR85+, and expect it to clear well above GR90 when fully optimized. 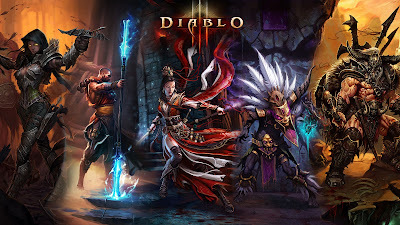 Playstyle: Both playstyles take advantage of the inborn durability of the Legacy of Nightmares setup, creating a visually impressive and fun AoE build for the Firebats build, and a single target, pet-reliant specialist for the Carnevil build. If you don't mind farming builds that are slightly harder to gear for, you can find something cool in both playstyles. Personal opinion: Both builds are quite fun, durable and consistent. They require less things to keep track of than most set builds (less stacks/effects to keep track of), which is always a plus. Ancient items can be a pain to farm though. Expectation of performance: I have seen both build clear GR85+, and expect them to clear well above GR90 when fully optimized. Playstyle: Fitting its name, this Wizard spec strives to enter and remain in Archon form as long as it can. It's a master of demolishing elites - especially in its Firebird variation - but possesses a well-rounded skill kit for most situations, making it the ideal soloing build. Personal opinion: With the option to go for the safer Vyr set or the all-out Firebird variation, Archon builds have turned surprisingly adaptable to player's needs. The lack of skill differentiation between the two specs is unfortunate, but its GR climbing power cannot be denied. Expectation of performance: I have seen this build clear GR95+, and expect it to clear above GR100 when fully optimized. I will be posting a similar thread on both the US and EU general forums, and I will be doing gearchecks / answering questions there as well, so drop by if you're interested! I will be adding links to this thread once the bnet threads are live. I hope you enjoy the guides, and they are of future use to you in Season 6. Thank you for reading and good hunting!